Do you know how fast your internet connection is supposed to be? More importantly, do you know if you’re receiving download and upload speeds as fast as you’re paying for? Many people are not aware of whether or not their internet service provider (ISP) is delivering the speeds they advertise. If you want to determine whether your ISP is living up to their promises, internet speed tests can help you out. There are quite a few technology companies offering speed tests, including Google Fiber. 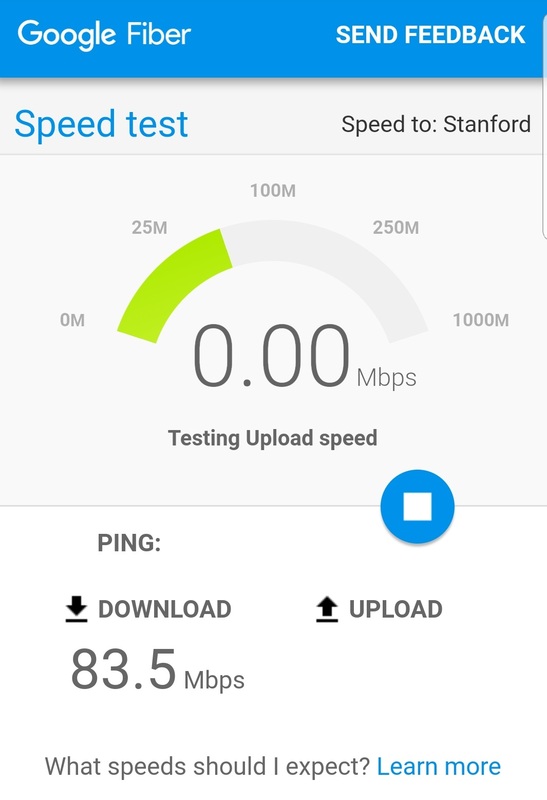 Is this a reliable speed test, or should you find another option? It’s vital to make sure we’re receiving consistent and trustworthy results, so we ran this test five times on the same connection. We used multiple devices ― including a desktop PC, a laptop, and a smartphone ― to ensure that our hardware didn’t adversely affect the results. Finally, we closed all programs except for the Google Chrome browser, and we disabled all plugins. Because we took these steps, we were able to create a repeatable environment for testing download speeds, upload speeds, and ping times. Let’s take a look at the results. 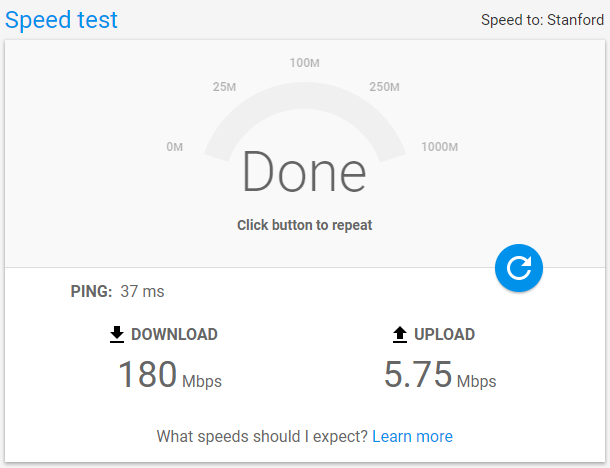 To study the results of the Google Fiber speed test, we used a connection that is advertised to deliver download speeds around 150 Mbps, and we also tested this connection with other speed tests, to see how the results lined up. 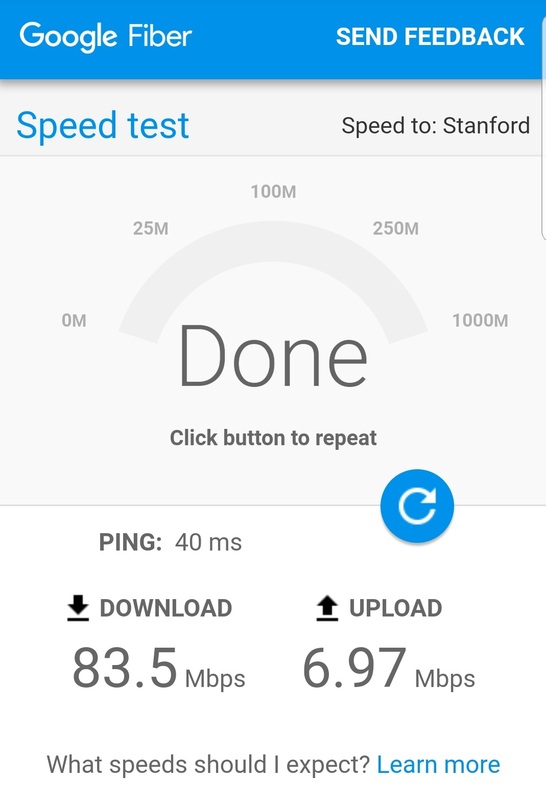 We found that the results from the desktop version of this speed test (Tests 1-3) were very accurate, whereas the mobile version (Tests 4 and 5) was a bit less reliable. As for the results, the Google Fiber speed test took an average of 3.88 seconds to load, and 15.0 seconds to run the test itself ― making this one of the most efficient speed tests available online. The average download speed was 149 Mbps, and the mean of the measured upload speeds was 6.5 Mbps. Both of these figures were within the realm of expectations, even though the average ping time of 38.6 ms was a bit slower than some competitors’ tests. You can check out our screenshots of the tests below, which enables you to get an idea of how their interface works. Our favorite attribute of the Google Fiber internet speed test is how efficiently it runs. This is truly one of the fastest speed tests we’ve ever seen, as it takes less than half as long to run as many competing tests. The test also loads quickly and has a clean, simple interface with no advertisements. The desktop version has remarkably consistent results that line up nicely with both our expectations and the results garnered via other competing speed tests. This speed test also indicates where the testing location is, which is helpful when determining reliability. 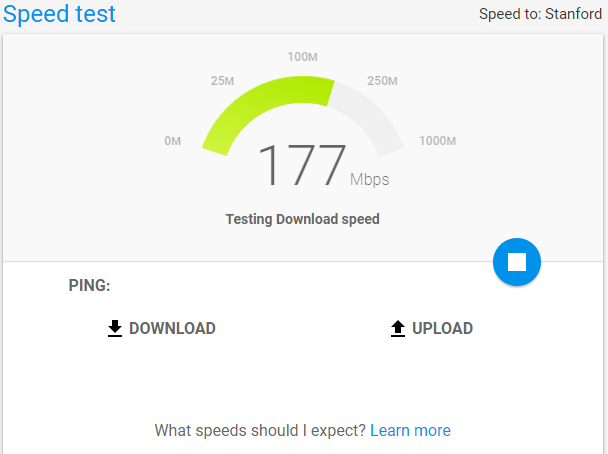 The biggest problem with the Google Fiber speed test is that the mobile version leaves a bit to be desired in the results department, as the results are neither entirely accurate nor consistent. In addition, this test doesn’t offer much in terms of additional information, like your IP address or internet provider info. Another issue is that both versions of the test run on an insecure website, and the ping times are a bit longer than we’ve gotten from many competitors’ tests. Finally, there aren’t any advanced options like the ability to choose your testing location, or to store or share your results. At the end of the day, the Google Fiber speed test is quite strong, and the pros definitely outweigh the cons. The desktop version of this test is highly reliable, and we also appreciate the way its no-frills design loads and runs so quickly. There are a few issues with this test, such as the lack of advanced features and options, and the fact that it does not run on a secure website. Also, the mobile version simply doesn’t function like it should. As long as you use the desktop version instead of the mobile version, we think you’ll be pleased with Google Fiber’s speed test. While it isn’t perfect, we still recommend this internet speed test.